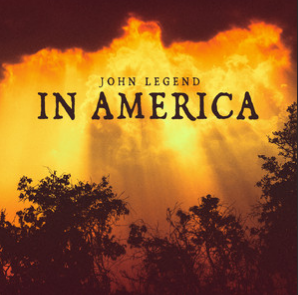 John Legend sings with moral outrage and hope in equal measure on "In America." John Legend's new release "In America" explores the paradox of the United States as a land of great anguish and possibility for black folk. He wrote the track with producer/songwriter Dave Tozer for WGN America's pre-Civil War series Underground. Indeed, Legend sings with moral outrage and hope in equal measure, ultimately achieving uplift by repeating the affirmation "We'll make it in America" amidst blazing organ and church choir.